I’ve had it on my mind since I first blogged about it 2 months ago. Doing the FI on Cheesylove gave me the confidence boost I needed to know I could give this a try. I know Cheesylove was easier, but I think the principles are the same, right? The swatches are from Elann. It’s their Gjestal Ren Ny Ull Superwash Sport yarn — a 100% superwash wool from Norway. 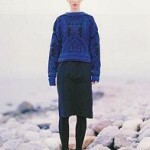 Basically, the sweater will be the Indigo and and Nordic blues, with the other colors in the FI parts. When I went to place the order they were out of the Kiwi Green though. It’s the color that’s third from the top. So instead I order a skein of the Kelly Green (middle swatch) and Goldenrod Yellow (right swatch). I still think the Kiwi is the best option. But worst case I can always buy a Kiwi shade locally. What do you all think about the colors I picked? There’s definitely a chance for disaster on this one as I’ve never done a FI so I could be very off in what my eye “thinks” would look good. Be honest! I can always return or exchange if need be. This sweater is a serious commitment for me so I’d like to hear your honest opinions. Wow, I LOVE the colors! It’s going to be really beautiful! I think you’ve picked out some lovely colors! I like one on the left-hand side and the middle one. It’s kind of hard for me to see the difference in the greens, but I think I prefer the softer shade of green. I think those are awesome colours and that’s a really nice sweater. I think you’ll enjoy making it. I like the colors a lot. Blue is one of my favorites and I think the sweater is going to look nice. More power to you for attempting to knit something so complicated looking. I am no where near ready to do an FI. Knitting requires so much patience and sometimes, I do not think I have it. The middle one! The green really makes the other colors POP. A little “poison” color really makes a sweater more interesting. Have fun with it! I love your color scheme…partly because I picked the Goldenrod, the Kelly Green, the orange color and I think a slightly darker blue to make a scarf or baby blanket! 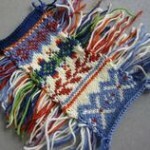 Fair Isle is pretty advanced stuff for me to even consider and I’m in awe of all those who attempt it! Your sweater is going to look beautiful! Wow, I love the colors you picked, it’s going to look great! I like the Kiwi green option, it seems to blend in best, but Margene’s right – the Kelly really makes the other colors pop. I think your color choice is great. Good luck on the sweater! The colors are wonderful! 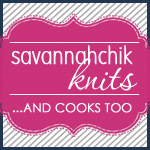 I can’t wait to see you bring this one to the knitting meetup!! FI scares me.. heehee! 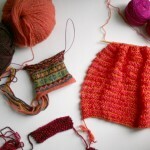 I’ve loved that sweater a long time… I’ll look forward to watching you work on it, and maybe someday I’ll follow suit! I think the shades of blue will be perfect! I can’t wait until you start it. 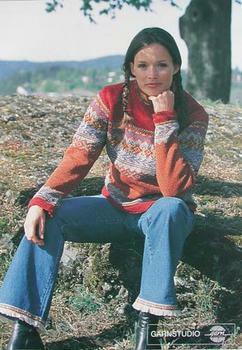 Maybe i’ll be inspired to ster my first Fair Isle! Can you tell me the pattern name or number. I am very interested in this sweater also. I just finished my self designed fair isle vest and ready for a new project.